Get whisked away to Coronado Island for a personalized tour of the affluent beach resort. 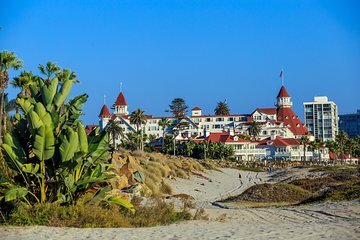 A private guide drives you across the San Diego–Coronado Bridge and accompanies you to the iconic Hotel del Coronado for an up-close look at this National Historic Landmark. Spend time at Coronado Beach and the Glorietta Bay Inn, and get plenty of photo ops of San Diego Bay and the city skyline. Bottled water, snacks and round-trip hotel transport by luxury vehicle are included.